Since 2004 New York Painting Services, a full service painting contractor has been proudly catering to commercial businesses and residential homes across New York and New Jersey. 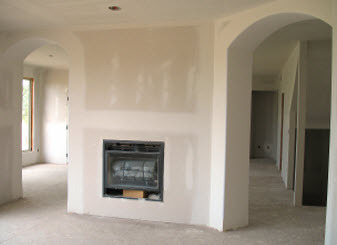 We are completely licensed and insured to perform professional services at affordable prices. 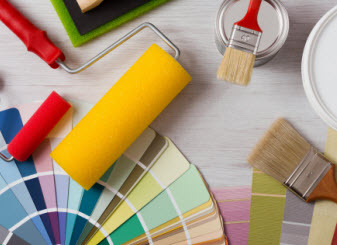 With New York Painting Services handling your projects, you can expect quality workmanship, friendly customer service, and traditional values to ensure a phenomenal experience every time. With our experienced, trained, and skilled artisans on the job, along with using high-end products, equipment, and materials, you can expect quality results. New York Painting Services is eager to perform a variety of services to establish a specific interior design through painting including Eclectic Interior Design. Eclectic style brings together through the use of color, finish, texture, and shape by encompassing a variety of periods and styles. Paint Colors: The palette is open when colors for the Eclectic Design are chosen. 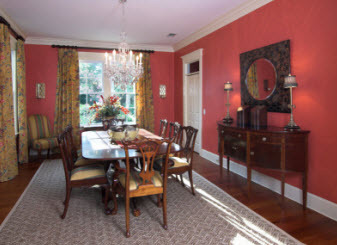 Tying in neutrals to bold colors is an excellent way to create the right balance. For example; a room with bold cool reds, accented in gold and tied together with cream and brown can easily establish the Eclectic Design through the use of color. Fabrics: When selecting the fabrics for Eclectic Design, keep in mind that the look is partly defined by the multitude of fabrics; use your creativity and feel free to use patterned, textured or both fabrics. Include the trims, tassels, and fringe but stick with a neutral color scheme is the primary colors but include a variety of accent colors. Finishes: To set an eclectic look apart from the rest, utilize a combination of finishes and textures. Furniture: Everything in the room, especially furniture is tied together. Where a variety can be used, let the lines, finishes, fabrics, and colors tie themselves together. Though Eclectic Interior Design is a blend of other styles, it can still be tricky to establish the distinctive characteristics. Consider the following guide when putting together an Eclectic Interior Design home or business. – The layout is essential to establishing Eclectic Interior Design. It is really easy to get lost in the colors, patterns and textures and still bring everything together. Just remember placement is key and before buying furnishings or accessories, know beforehand where they would go to keep the flow alive. – Even though Eclectic Interior Design doesn’t include combining styles with time periods through items, specialists agree having a focal point is ideal and it should be an eye-catching element such as a fireplace, a bold decorative item, or even an accent wall. – The room is meant to be lived in, utility shouldn’t be forgotten. Not only are the décor with the right colors and textures incorporated, but include functional items such as bookshelves, drinks trays, baskets, and card tables for example to contribute to the overall look as they establish a cozy well-live in look. Generally, all items, colors, textures, décor, accent walls, etcetera, should complement each other. With Eclectic Interior Design being so diverse, many homeowners and business owners across New York and New Jersey are utilizing Eclectic Interior Design to stylize their home or buildings. New York Painting Services can help you ensure the paintings of the colors you select are applied precise and crisp among the other services that will suite your needs. Call New York Painting Services today to get started on Eclectic Interior Design.